LOS ANGELES, CA / ACCESSWIRE / June 29, 2016 / Done Swiss Mechanical Watches is pleased to announce their official release to the public. Created by microtechnology engineer and 10 year veteran of the watch industry, Thierry Clottu, Done watches were named after their birthplace of Neuchatel, Switzerland. While Switzerland is considered the global hub of quality watch manufacturers, Clottu and his team wanted to create a watch that would capture the history of Swiss precision, but be affordable enough so that anyone could own a Swiss timepiece of master engineering. "I wanted the design of my first model 'MECHANICA' to be classic, plain, timeless and modern, with a touch of 'sport-chic'," says Clottu. Once he finalized drawings of the piece he created a stereolithograph prototype via 3D Printer to test the ergonomics of the watch on the wrist and adjust for an optimal fit. 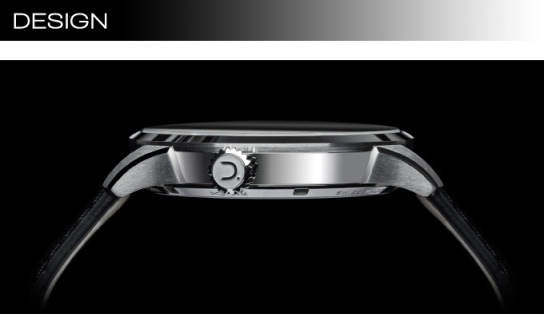 After the watch was perfected, he updated his 3D model and drawings for submission to the various suppliers. The final watch features a scratch proof domed sapphire crystal, faceted diamond-polished hands with superluminova C3, multilayer dial with faceted diamond-polished index and superluminova C3, Hand-decorated ETA 6497-1 mechanical movement, 43.8 mm on bezel diameter 316L Stainless steel case (silver or 4N Gold color), a subtle balanced finish with satin-finished and polished surfaces, screwed case back with sapphire glass to contemplate the hand-decorated Swiss made mechanical movement, a genuine black or brown leather strap, is water-resistant to 50 meters (5 ATM), and comes in 6 color options that are a mix of white, black, and gold in differing combinations. "Decoration is essential to my project as a watch is not only an object allowing to read time, it's above all an object you get attached to," says Clottu. The watch is also hand wound, which is a throwback to Swiss watches of old, and which carries with it extremely high dependability for accuracy and longevity of the movement. "Before the arrival of automatic systems, all watches were wound by hand, hence it is a wink to the handsome watchmaking of the past," says Clottu. "What a delight it is to admire this great hand-decorated movement beating at its balance wheel rate." In order to bring his DONE watches to a wider audience, Clottu has taken his project to the pages of Kickstarter where he hopes to raise enough donations to fund a major production push. 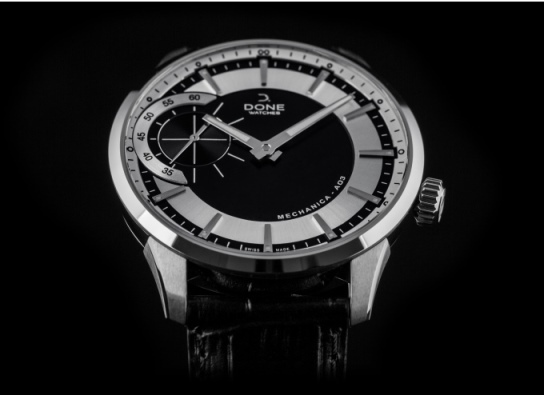 To learn more about DONE watches, please visit: https://goo.gl/kdJJ6k. 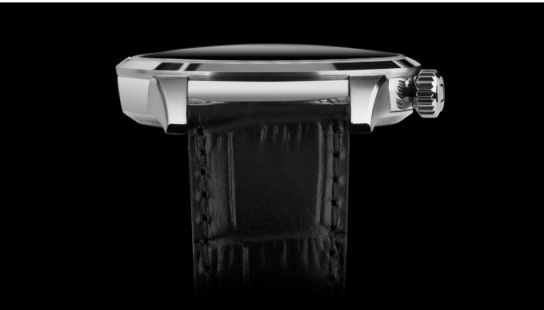 DONE watches are the creation of 10 year master watchsmith Thierry Clottu. They are an affordable representation of Switzerland's long history of creating precision timepieces that stand the test of time.